Regular roof maintenance can save time and money in the the long run. Carrying out regular roof maintenance procedures can go a long way in saving you from expensive cost of replacing your roof. Furthermore, constant inspection of the roof can save you from a lot of damage that may result if the roof collapses on your house not to mention saving lives. This is especially important during harsh weather conditions like storms and strong winds. With all these benefits in mind, it is right to say that there is the need to ensure that your roof is maintained from time to time to help ward off all these negative consequences. 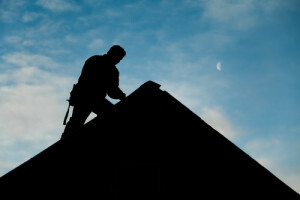 A well-maintained roof will also help improve the value of a house. Effective ways of maintaining the quality of a roof. It is always good to make it a point to inspect your roof regularly. During these inspections, one should determine if there is the need to replace any part of the roof, which loose nuts need to be tightened, or is there any need to repaint the roof. Being able to answer this question will help in a great way improve the durability of the roof. At times, it may be necessary to seek professional advice of a roofer during inspection on whose opinion you can rely on after a thorough inspection or even roof repairs when necessary. In the event that you notice some damage to the roof such as the plumbing boots or the gutter system, it is always advisable to immediately attend to it. This will help avoid more serious problems I the future. There may be some signs that may arise which should warn you that their is need for roof repairs or replacement. Some of this include; shingle granules in the driveway or in the gutters, leak stains on ceilings at other times, in more serious cases the roof may have a sagging appearance. One of the main problems that affect many roofs is blockage. If there is blockage in the water way, water will not flow well. When this happens, the pressure of the flowing water increases and this may even lead to the bursting of the pipes that drain water. It is therefore important to always keep the gutters free of all materials that may lead to them blocking. Lastly, it always good to ensure that the roof is properly ventilated as this helps prevent the problems that come with poor ventilation. A poorly ventilated roof tends to hold a lot of moisture and high temperatures. These two are two important ingredients for rotting. A well ventilated roof tends to allow for air circulation thus preventing rotting. The above are some easy procedures that do not require much in terms of cost, time and expertise. The can however help prevent additional cost of replacing a roof. If adhered to, they will help increase the lifetime of your roof. This article is brought to you by Staten Island Roofing Company. Copyright 2019 Staten Island Roofing Company. All rights reserved. Powered by WordPress. Theme: roofers by PixelNX.